I participated in the Gymchaya competition in November 2018. 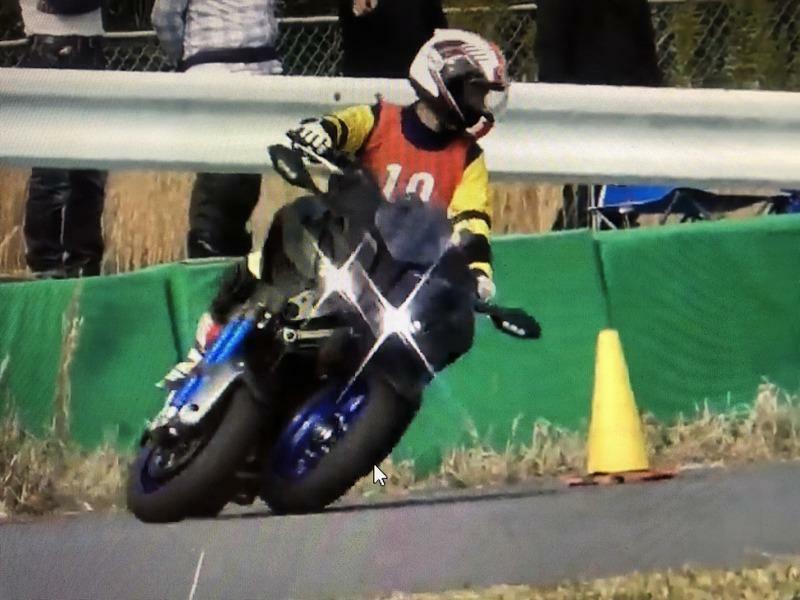 This time it was a test competition at Ninja 400, but leave it aside. . I thought that I wanted to ride once, so I received it twice in reply. After the first heat running, NIKEN test drive and movie shooting. .
Like a motorcycle, I ride a bank while riding, but the feeling coming from the front is quite different. Because the engine is the MT 09 engine, extremely low speed is a bit weak in running gymkhana like a bit. Try to figure out the letter 8 so that you get used to it for a moment, it is called demo run of the gymkhana course immediately. Compared with it comes down with a thin ground feeling of the rear. .
With a feeling close to a motorcycle that did not fall as it got a bit ago, the rear seems to come out as soon as impossible. Does the rear traction become thin when the weight gets to the front? It was a pretty slippery impression. As expected, this machine can show its true value when running on public roads?